Not many Kickstarters make millions of dollars. Even fewer do that in a matter of hours. But that's what happened for Kingdom Death: Monster 1.5 (WARNING: some adult content), which launched its campaign in late November. This dungeon-horror fantasy game made over two million dollars in its initial 1.0 run; destroying all expectations with the 1.5 launch, it currently sits at over seven million dollars. I was one of the people who passed on Kingdom Death: Monster the first time around, but I couldn't stop thinking about it. It has stellar miniatures (its calling card among gamer circles). But the fact is, the game seems solid. I haven't played it myself, but after watching multiple walk-throughs and getting first-hand accounts from my friends, this is a campaign I'm interested in jumping into. But ready to jump you must be, because the price of entry is steep. To get a full game experience, you need to drop $250. I will say that the quality of the components seems to justify the cost, though of course you'll have to decide that for yourself. Keep an eye on the fulfillment time frames as well. 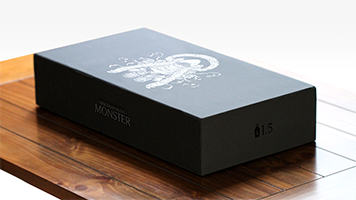 While the original Kingdom Death: Monster campaign had notoriously long shipment times, this one seems to have realistic promises, even if it takes a while. Don't go in expecting a ton of games coming in early 2017. Regardless of your opinion on the game, this campaign is making a big impact on the boardgame industry, so it's worth watching.